Zhidk. krist. ikh prakt. ispol'z. = Liq. Cryst. and their Appl., 2012, 3, 14—23. Phase states of three homologous series of 4-(ω-acryloyloxy)alkyloxy-4'-cyanoazoxybenzenes containing 3, 6 and 8 carbon atoms in the chain of the terminal substituent were researched by wide-line 1Н NMR spectroscopy, differential scanning calorimetry and polarizing thermomicroscopy. 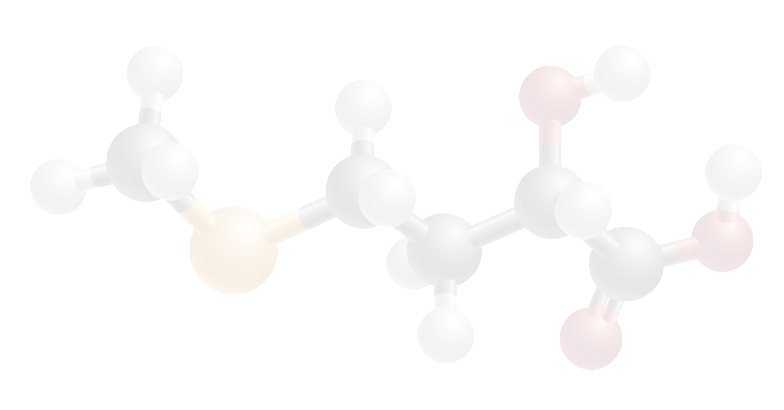 The shape and width of the lines of 1Н NMR spectra, the values of the second moments and changes in these parameters with temperature are dis-cussed. The differential scanning calorimetry and polarizing thermomicroscopy results are compared with the features of mesomorphic transformations of the investigated homologues according to 1Н NMR spectroscopy data. It is shown that at certain temperatures, depending on the length of the alkyl fragment, in the solid crystals the dynamically disordered fraction of the molecules appears, which is involved in the thermotropic phase transitions: either in the isotropic liquid (propyloxy radical in the molecule), or in nematic mesophase (hexyloxy and octyloxy radicals in the molecule). 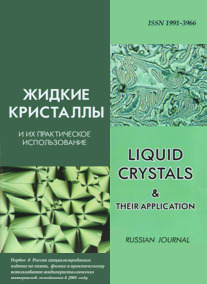 Keywords: liquid crystals, cyanoazoxybenzenes, mesophase properties, wide-line 1Н NMR spectroscopy, values of the second moments, differential scanning calorimetry, polarizing thermomicroscopy, dynamically disordered fraction of molecules.